The public and law enforcement first heard of the Symbionese Liberation Army in the days following the assassination of a popular Oakland schools superintendent 45 years ago this month. Marcus A. 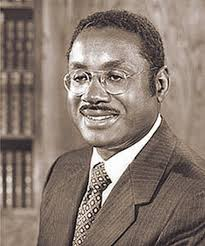 Foster, superintendent of the Oakland Unified School District, was fatally shot as he walked with his assistant, Robert Blackburn, through a parking lot at the district offices on Nov. 6, 1973. Blackburn was also shot, but survived. In the days that followed, communiques began arriving at Bay Area media outlets from the previously unknown SLA, a militant revolutionary group that claimed responsibility and stated the two men had been sentenced “by a Court of the People” for their supposed role in district cooperation with police. Two SLA members were initially arrested and charged in the attack. Foster, 50, had been a teacher, principal and associate superintendent in his native Philadelphia, gaining a reputation for success in reforming and improving urban schools that led to his hiring for the top administrative post in Oakland in 1970. 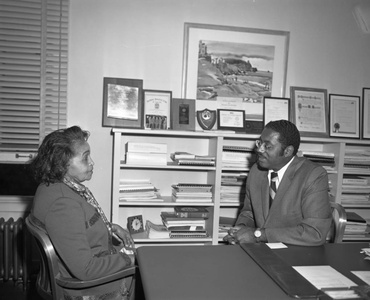 The Oakland Education Institute, founded by Foster in 1973 “to raise discretionary funds to promote excellence in Oakland schools,” was renamed in his memory. The SLA would go on to become a national news story and focus of an intense search for more than two years after kidnapping newspaper heiress Patty Hearst from her Berkeley apartment in February 1973.